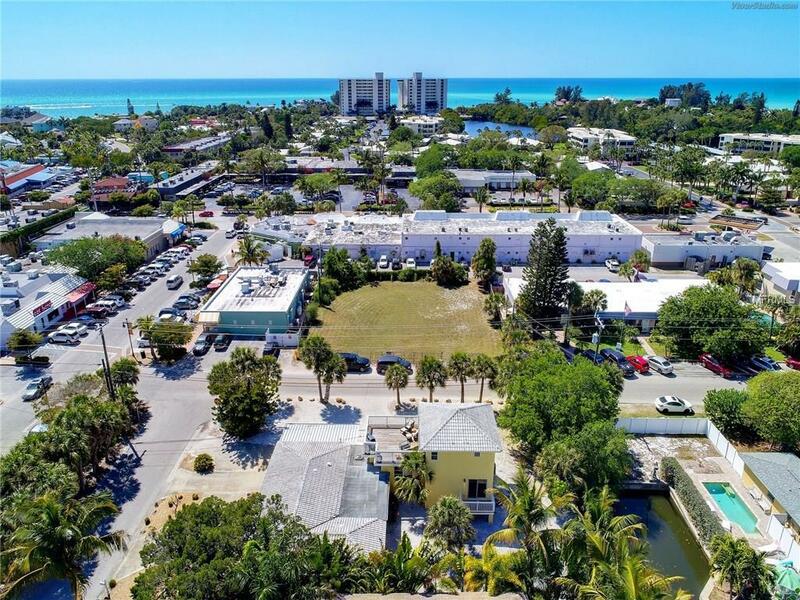 This single family home located on a canal in Siesta Key Village is actually a duplex with 2 bedrooms and 2 bathrooms per unit. Rates shown are for each 2/2 unit. Or, rent it as a full 4 bedroom 4 bath home for your next family gathering.Unit A is located upstairs just off the main house with its own entrance. 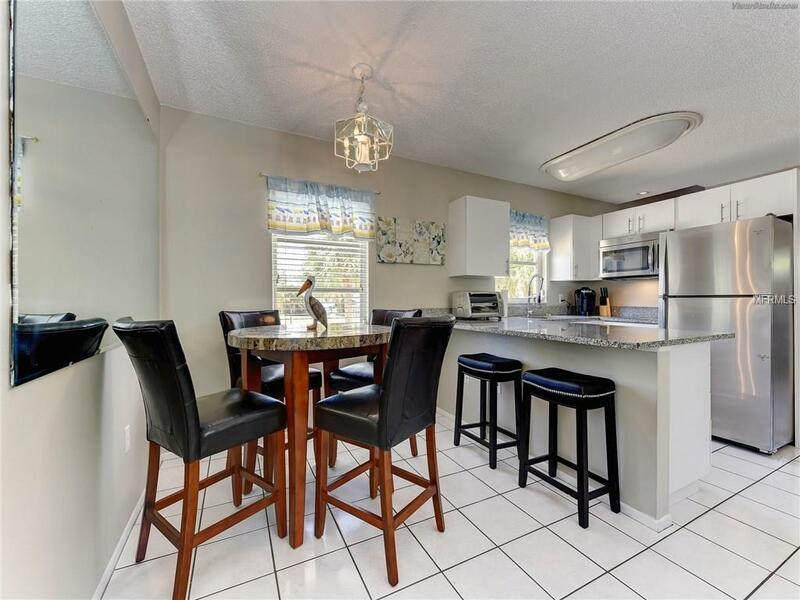 This area features an updated kitchen with white cabinets and beautiful granite counter tops and a seating area for 4 just off the kitchen. The kitchen has all the comforts of home but has a cook top and NO oven. Decorated in a nautical them with dark floors and coastal furniture, the master bedroom has a king sized bed, a shower in the bathroom and a large deck complete with outdoor furniture and a grill. The second bedroom features a set of twin beds and a bathroom with a tub. 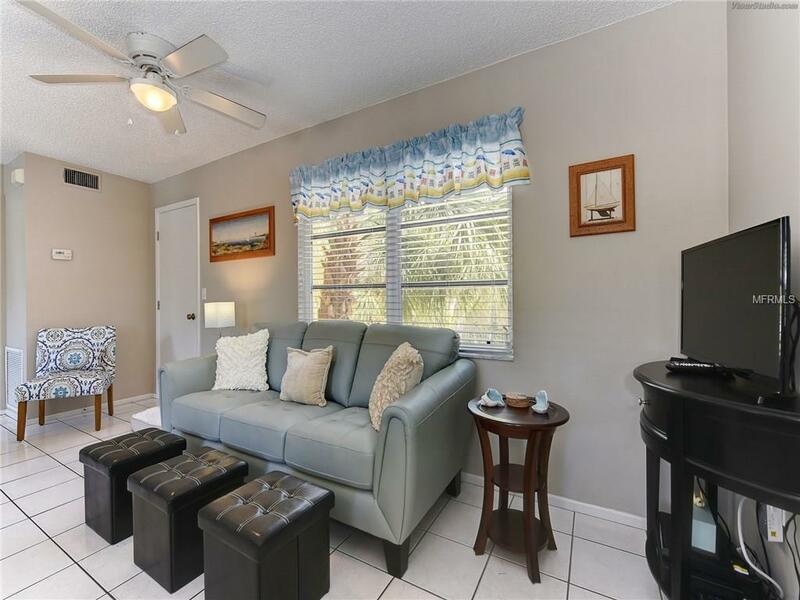 A patio with a view of the canal makes this a great retreat.Unit B is located ground level and also has an updated white kitchen with granite counter tops. Just off the kitchen is a large dining area with a table for 6 and large picture windows. The master bedroom is decorated in a coastal style and features a queen bed and a bathroom with a shower. The second bedroom features a set of bunk beds and a bathroom with a tub. A one car garage is available for use and there is ample parking on the large driveway. 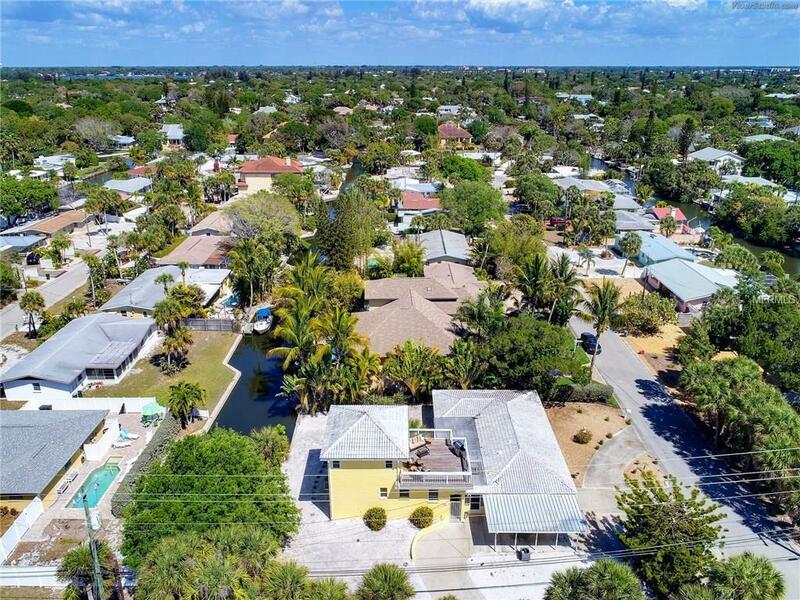 Located a block from Siesta Key Village this home has a prime location near all the shopping and dining on the key and a short walk to beach access. Pet friendly for one small dog.